You can wait until you’re REALLY fed up with the way things are…Or you can start now! Do you feel something has to change, but can’t exactly put your finger on what it is? Are you suffering from the way things are, but can’t admit it to yourself yet? Is procrastination and fear that “best friend” that you refuse to acknowledge that you have? Are you feeling like you have no purpose or at least you’re not doing things according to your purpose? Have you had the struggle of starting projects but not seeing them through to the end? Have circumstances left you in a status of stagnancy – not knowing what to do next? What if I told you that I could get you from where you are now to where you want to be (or further!) in 8 weeks from now. Yes, in 8 weeks from now you could remove all the barriers and breakthrough the blocks that have held you back from creating the life you deserve. How can I do that? Simply by teaching you how to apply the 5 step formula for creating a happy, fulfilled life and a prosperous future. This is all about clarity, looking at your past experiences, your present circumstances and how YOU can get to where you desire and deserve to be. It’s now time for the exciting bit! Let’s find out what it is that you really want, the legacy you would love to leave behind. We will figure out what it is that keeps the fire burning in your belly. It’s time to dream again and learn how to truly open your mind to possibilities. You will learn how to use your creativity and logic to map out and architect the building of your life, by bridging the gap and doing some action planning, based on what YOU want to achieve. You will learn strategies and routines that will enable you to achieve your goals, whilst learning how to remain consistent on your new journey. This is where you will learn and understand how powerful it is to plan for and have a vision of the prosperous future you want to create. The ability to create a long-term vision and not a short term temporary fix. This process has been used on hundreds of people and not once did it fail to deliver! So are you ready to get off your behind and be what you want to be? To contribute to the world in a big, positive way – because we can all see that the world needs it right now? To make your dreams come true and inspire others to do the same? Here’s the deal: if this works like you know it would, does it matter if the program lasts 6 weeks or 8 weeks? Does it matter how many homework exercises and coaching sessions are included? Is that the way to measure the process of achieving ultimate success? Of course it’s not! And yet, it’s normal that you want to know what exactly you’ll be getting for your money. 8 x 90-minute coaching calls to be used over the period of 8 weeks, with an additional 90 minutes to get your feeling and analyse your progress throughout the program. On these calls you will receive strategy, feedback, support and accountability as you grow and create the life you deserve, beyond your belief. Your next steps summary/homework emailed to you after each session to make sure you know which tasks to tackle next. FREE lifetime access to my Facebook community for the entire time we work together. Make connections with other individuals on the same journey as you, collaborate, mastermind and more. Unlimited email access for the 6 weeks. Check in with me when you have a problem and need help, when you have a question, or when you hit big milestones and reach success. I’m here for you. WE CAN START YOU ON YOUR JOURNEY IMMEDIATELY!! This is YOUR time and you refuse to keep waiting. You strongly desire and need to create a new pathway for your life. You are ready to take 100% responsibility for your success. It is time to start living the life and earning the kind of money you have only seen written on your vision board or on your goal sheet. That kind of life that gets you jumping out of bed in the morning because you are eager to start the day. You are happy with what you are doing; you are feeling healthy, beautiful and confident. I want you to imagine that you are no longer where you are right now, feeling the way you do, but instead I want you to picture your perfect, happiest days. What would that be like? See the pictures in your mind, imagine the life you deserve. If you were there instead of where you are now, how would you feel? YOU CAN CREATE AND HAVE THAT LIFE! If you are going to trust me to help you take your life to the next level, it’s only fair that you know more about who I am. Let me tell you a bit about myself. My name is MICHELLE WATSON and a few years ago I was in a rut, lacking hope, money, a sense of purpose and felt very ugly. I was a victim of Domestic Abuse, had Suicidal Tendencies and had lost all confidence in myself. To say it bluntly, I was in a very dark place and my life was a total mess. The added strains of also parenting a son with Special Needs never made it any easier and it just seemed that everything I touched and did fell apart. I was scared to open my front door due to bailiffs and having the pile of bills growing higher everyday. You may never have failed on the scale I did, but this only comes to show that you can come out of it too! The feeling that I was alone and no-one could understand, the anxiety attacks and depression, the fear – I have been there. I know and can understand your frustration because I have been there and lived that life until I decided that I no longer wanted to. Do you notice what I just said? Until I decided… I had to take the action. I decided to do some research. I read, watched videos, signed up for courses and seminars – I immersed myself in a different environment for months and surrounded myself with positive people. 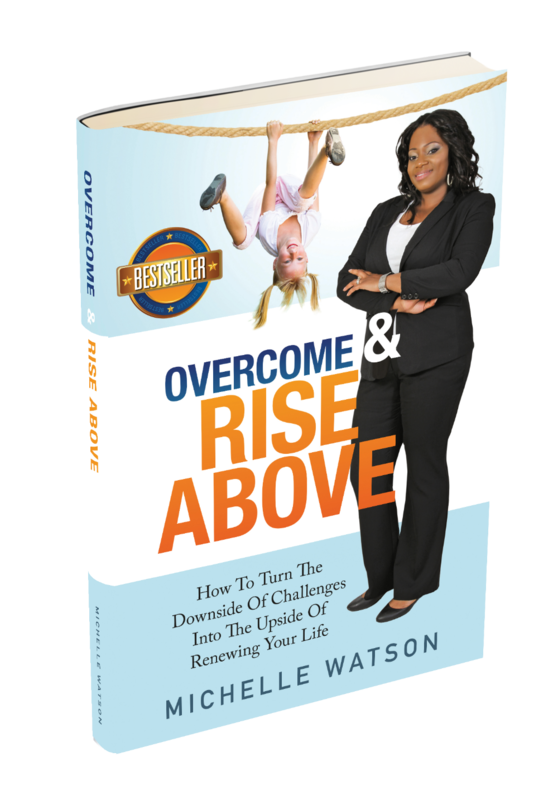 And then I wrote my book “Overcome & Rise Above – How To Turn The Downside of Challenges Into The Upside Of Renewing Your Life”, which became a bestseller and took my life to another level. I started experimenting with what I had learnt on my journey and the feedback was great! 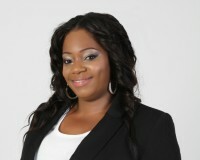 This was now a new beginning for me and from this my business was formed. If someone had told me all those years ago that I would be who I am today, doing what I am doing now; I would have laughed in their face. I know what it feels like, I was there myself not so long ago. So guess what; if I can do it using these 5 steps I told you about, then so can you! Many coaches only talk the talk but I have lived and walked the walk, I have travelled that road you are now on and know all too well the many traffic lights, road blocks, delay points and junctions you are facing. I wanted to share with others what the “Rise Above & Believe” program has done for me. Honestly, I was just feeling deflated and not good enough anymore. This women’s life coaching program has opened my eyes and has allowed me to see the self-made barriers I had accumulated over time. I was given tools that has empowered me to be more confident in myself while gaining control of my life. Thank you for changing my life! I will give you the tools and power to bridge the gap between your present circumstances and where you want to get to – but you have to bring the effort. Are you the kind of girl that can bring the effort? How much time do you work for this kind of money? A month? Month and a half? Two months? What do you currently spend those money on? What part of those expenses are more important than your happiness and prosperity? How much time and effort would it cost you to put those money aside if you were absolutely certain - like I am - that your life will never be the same again? If you are as ready for a change as I think you are, money will be the last thing that will stop you! And yet… It gets better! Being a divorced single mother, I had no idea what my future looked like for my son and I. My emotions varied and I was lost in a world of my own. I was introduced to this 8 weeks program of which I was at first a bit skeptical. I took a leap of faith and decided to go for it and my life has not been the same since. These six weeks of the program took me on an amazing journey of discovering who I am and what I want in this life just by simply applying the principles. The results were to say the least, out of this world and I am now a budding fearless entrepreneur. I have since recommended this program to other women and I have an overflow of gratitude to the team. I Rose above and I Believed!!! Thank you guys. I told you it gets better! The most eager ones always get a better deal. That’s how the universe works and that’s how I work. Still not sure whether you can afford this? You have had enough of watching on the sidelines whilst others are achieving. You cannot remain craving, you need to start living and that can only happen by you taking the first step. To get something you’ve never had before, you have to do something you’ve never done before. Are you ready? and I’ll answer them all!